In a rare display of sanity, the US president has formally recognised that marijuana is less harmful than alcohol – although he still considers smoking it a bad habit. In a recent interview, President Barack Obama spoke out in a small defense of cannabis users and the medical legalisation of this wonder plant. 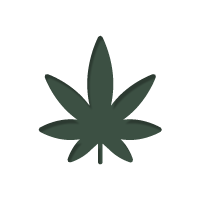 He recognised cannabis as being less harmful to society than alcohol, and even less harmful to the user. “As has been well documented, I smoked pot as a kid, and I view it as a bad habit and a vice, not very different from the cigarettes that I smoked as a young person up through a big chunk of my adult life. I don’t think it is more dangerous than alcohol”, he said to David Remnick, editor of the New Yorker Magazine. With the sweeping cannabis reform that is spreading across the US, it was only a matter of time until Obama spoke out on the subject. He also feels that the current system is failing. As things currently stand, in most states cannabis users are still facing prosecution and imprisonment for cannabis use, and poorer individuals suffer the worst for lack of being able to afford proper legal representation. This means there are a disproportionate number of poorer individuals serving prison time for minor pot offences. Obama also acknowledged that it is minority groups who are being arrested and imprisoned on a disproportionate scale. Obama, much like the Justice Department, wants to see a shift from prosecuting individuals towards focusing on large scale dealers and violent offenders – both to free up police resources and ensure the focus is on organised crime. Although Obama has spoken out against current regulation, describing it as too harsh, he is not in favour of legalisation and fears it would lead to the campaigning for the legalisation of harder drugs such as cocaine and meth. To those who have never tried it, Obama said that its use is not to be encouraged, that it is a waste of time; but that the country‘s aversion to it was blown out of proportion. He also said that those who have legalised cannabis, such as the states of Colorado and Washington, should not have their laws undone, and that it is important for their legalisation to go forwards. His reasoning being that it does not make sense to have a situation where a large proportion of the population are “breaking the law” but only a select few get punished. He also pointed out it was hypocritical of law makers to imprison users for long stretches when they are likely to have used cannabis at some point themselves. 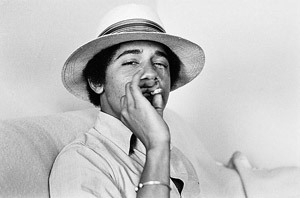 Mason Tvert, the director of communications for the Marijuana Policy Project was pleased with the progressive nature of the speech, praising Obama for “catching up” with the view of most Americans who think cannabis should be legal. "For more than 80 years, our federal government has been exaggerating the harms of marijuana in order to keep it illegal," Tvert told media reporters. "For one of the first times ever, one of our national leaders is acknowledging that marijuana is actually less harmful than alcohol for the consumer." It is a very promising step forward, and may put pressure on politicians across the globe to rethink their stance on cannabis, even if only for a second. It is important to spread the word that cannabis is not harmful, but that prohibition in fact, is harmful. May the march to decriminalisation and legalisation move ever forward.